Pandora – The World of Avatar opened on May 27, 2017 in Disney’s Animal Kingdom at Walt Disney World. 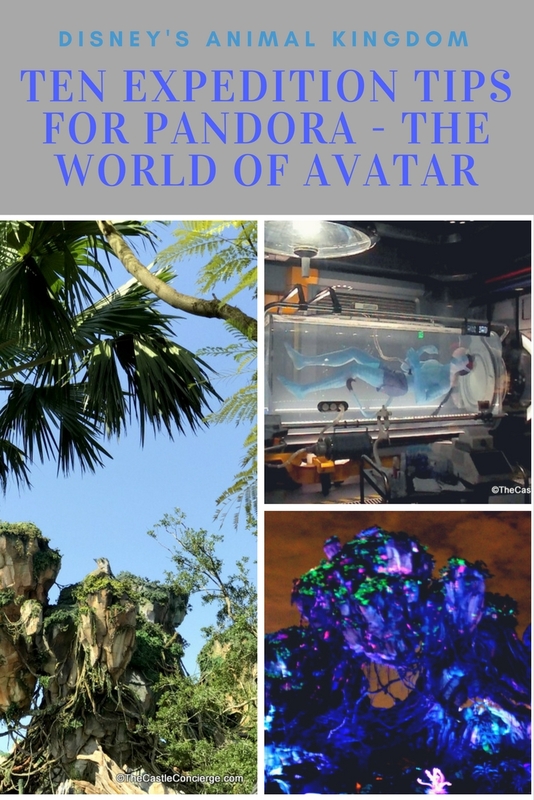 While fans of “Avatar” and the Animal Kingdom wondered how this mythical land would come alive, the unveiling of Pandora quieted the skeptics with out-of-this-world scenery. Nearly ten years after “Avatar” touched viewer’s hearts at cinemas, Pandora is now experiencing intense fandom. 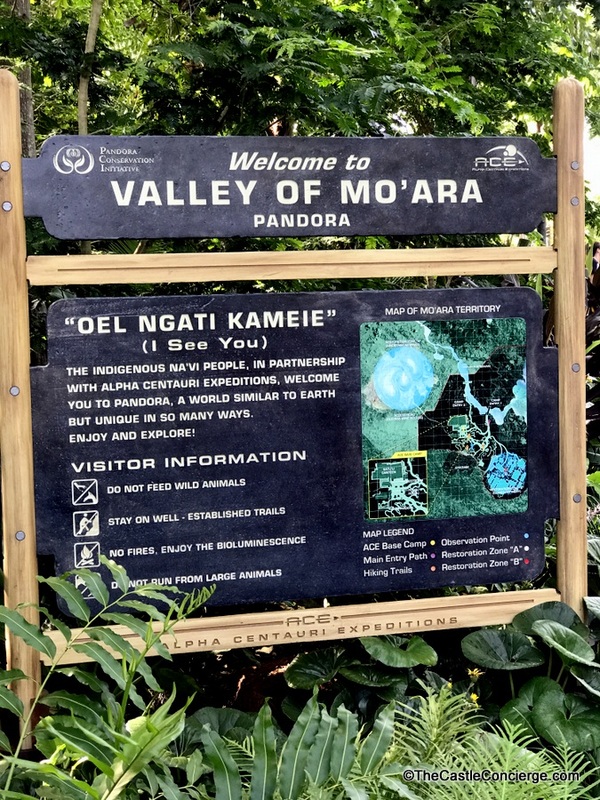 With peak crowds rushing to Pandora and waits for Flight of Passage over two hours, I wanted to share these tips before you journey to this exotic land. Don’t miss a thing; Pandora is worth the effort! Welcome to the Valley of Mo’ara. 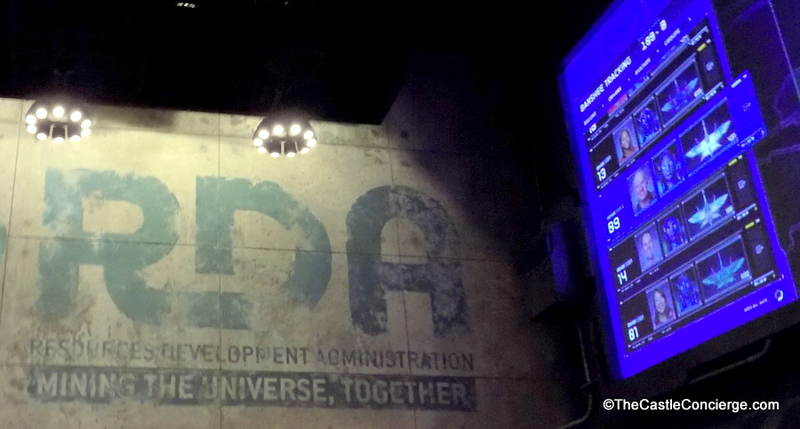 My Disney Experience and FastPass+ (FP+) are going to be your must-use tools for a visit to Pandora. I recommend narrowing down your FastPass+ choices before your booking window opens. 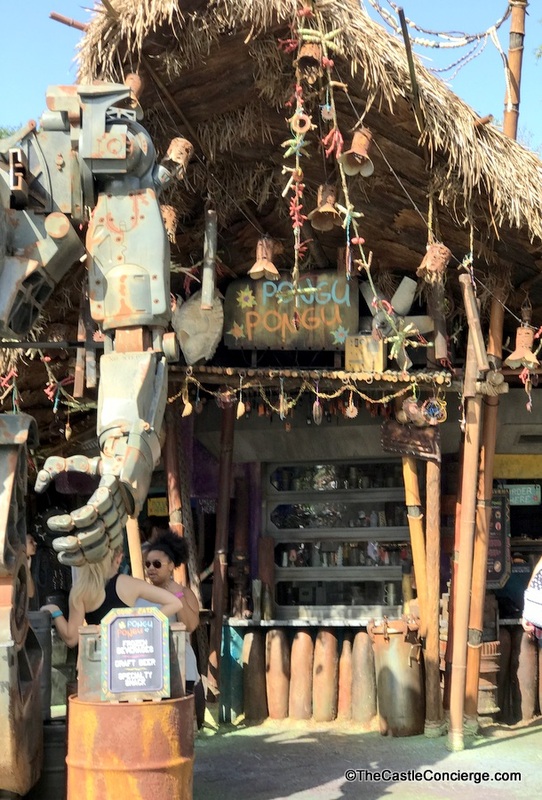 Book your Animal Kingdom day first, and grab any availability for Flight of Passage. If it’s not available on your first-choice touring day, go to your second choice, and so on. You can go back and edit your FastPasses and touring plans once you secure a FastPass for this incredible attraction. 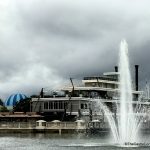 What if you don’t secure a FastPass+ before your Walt Disney World Arrival day? Don’t panic. In fact, the same thing happened to us recently. I kept looking for availability and one popped up while we were at Walt Disney World. It was about midnight when I secured the FP+ for a late Animal Kingdom morning that was three days away. Score! 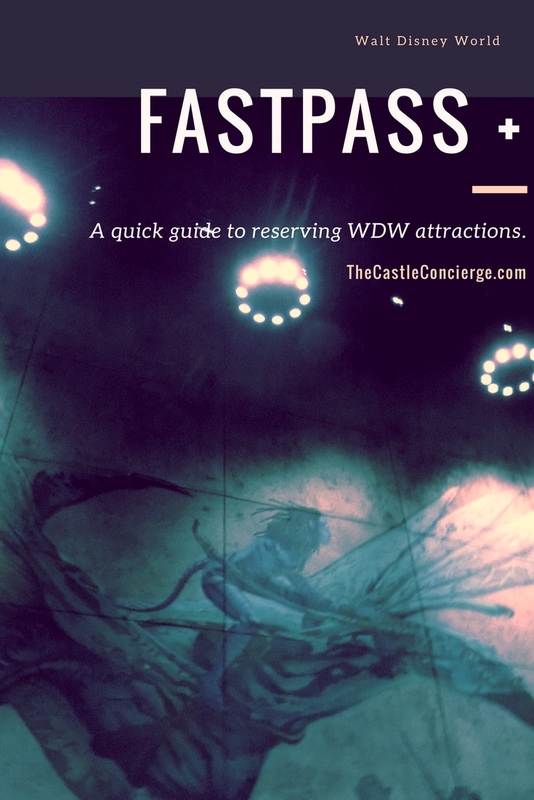 What if you are unable to reserve a FastPass for Flight of Passage? You have two options: one, plan to be at the Disney’s Animal Kingdom one hour before opening and put yourself in the swarm of early-risers headed for Flight of Passage. Two, enter the standy-by line about 60-90 minutes before park closing. To appreciate Pandora’s beauty and excitement, it’s not necessary to see the film. However, your personal journey to Pandora will be somewhat richer after seeing the movie. Consider “Avatar” to be a familiarization travel video. Then, let yourself wander Pandora and experience the interactive power of nature. Repeat visitors to Walt Disney World already know that many attractions should be seen in the daylight and after nightfall. 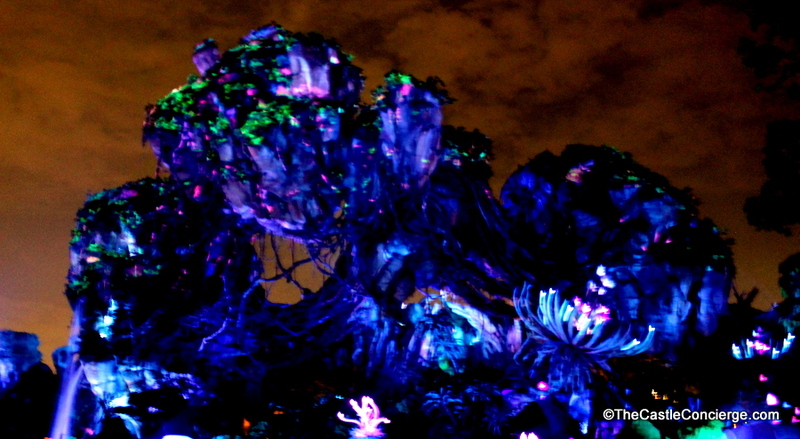 However, this is absolutely a must for the bioluminescent world of Pandora. You’ll see and hear details by day and by night that are of otherworldly beauty. Visually inventive, Pandora’s emotional resonance is memorable for the whole family. 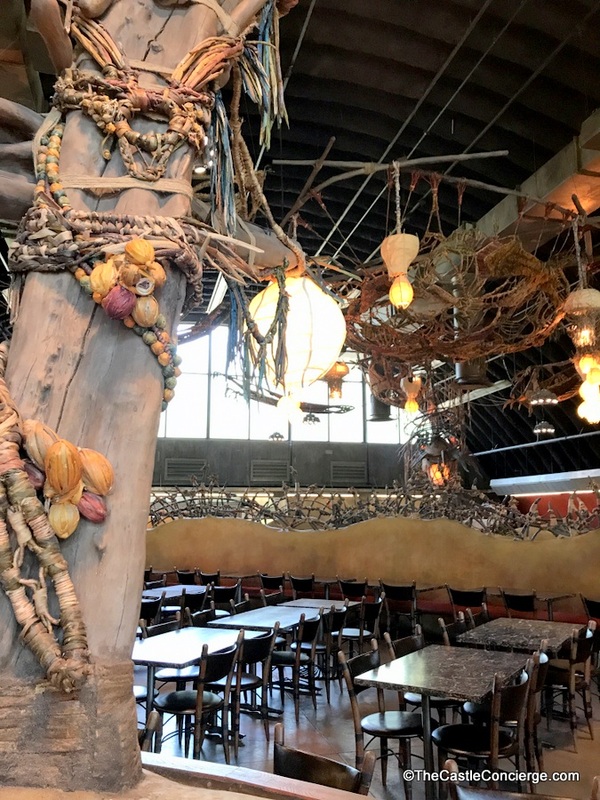 Fortify your troops at Pandora’s Quick Service Restaurant — Satu’li Canteen. The chocolate cake is one of my must eat snacks at Walt Disney World! 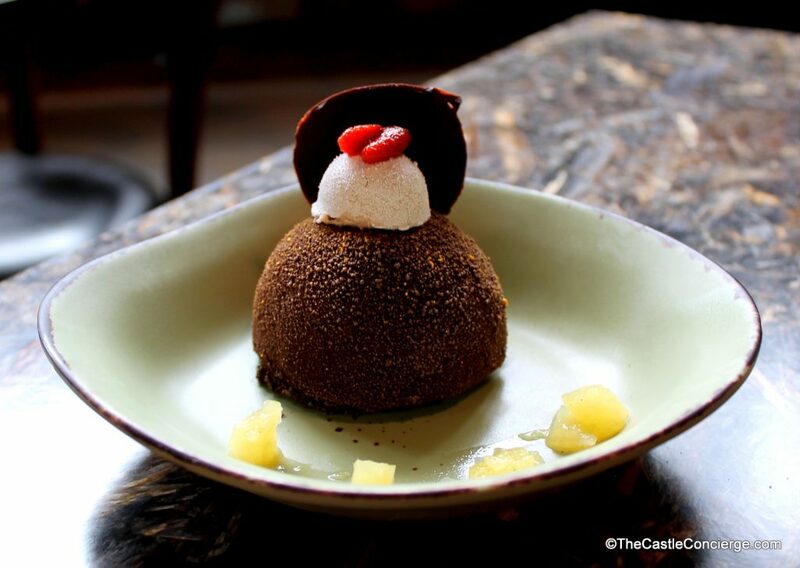 Chocolate Cake at Satu’li Canteen. The friendly expats working at Pongu Pongu have concocted some unique frozen cocktails. Get one with a glowing Unadelta Seed! 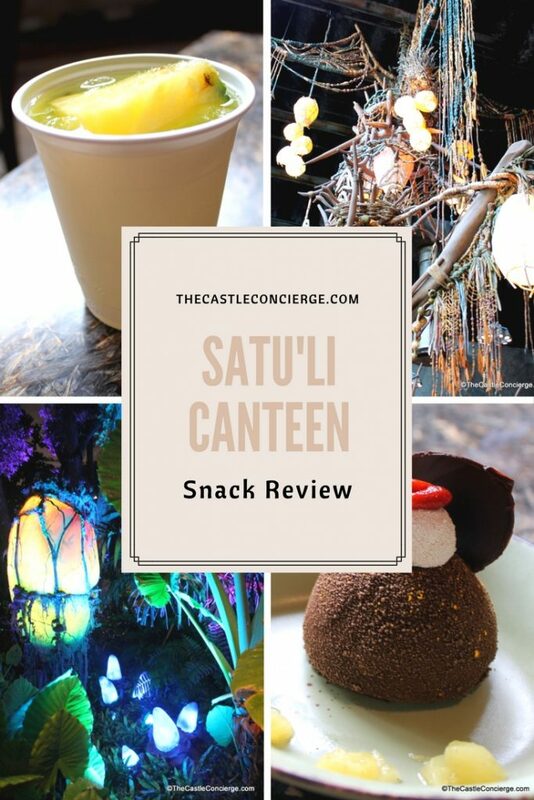 Bonus Tips: Satu’li Canteen is a welcoming refuge from the elements. However, this place gets jam-packed by lunch time. A word of caution: signs note that tables are for the canteen’s patrons only. Really need a respite? Get a beverage and small snack! Dining Room at Satu’li Canteen. 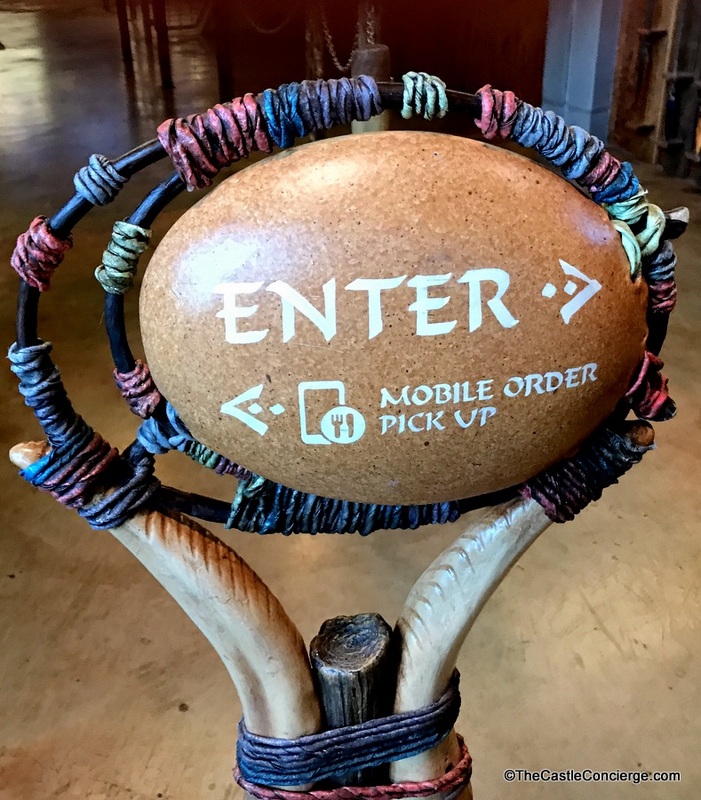 To save time, use Mobile Order to pre-order your meal at Satu’li Canteen. 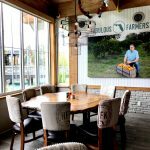 Save time with Mobile Order. Yes, we did jump the “rocks”! Relive one of the film’s powerful scenes by taking your own flight atop a banshee. Imagineering marvels outdid themselves when they created this 3-D simulator. It’s a multi-sensory thrill ride like none other at Walt Disney World. So, there are no disappointments, note before your visit that the minimum height for riders is 44 inches. Gently floating down this mysterious river, your reed boat will journey through exotic caves filled with wondrous plants and creatures. Through music, the Na’vi Shaman of Songs fills the rainforest with positive energy. Disney’s Animal Kingdom has always been the park that our family avoids on rainy days. It’s also a really tough park to tour in the Florida heat and humidity. While the park is lush with greenery, it’s difficult to find air-conditioned spots to recharge and dry areas to get out of storms. This is even more of a concern in Pandora. On a recent visit, we had to wait for our FastPass+ time at Na’vi River Journey underneath a sparse tree that did little to keep us from getting soaked in the pouring rain. After the attraction, we found a hidden cave to escape the downpour and lightning. Yet, a lot of Pandora visitors were heading to Discovery Island to seek shelter. Expect long walks to find a place to take cover and be prepared with rain jackets or ponchos. 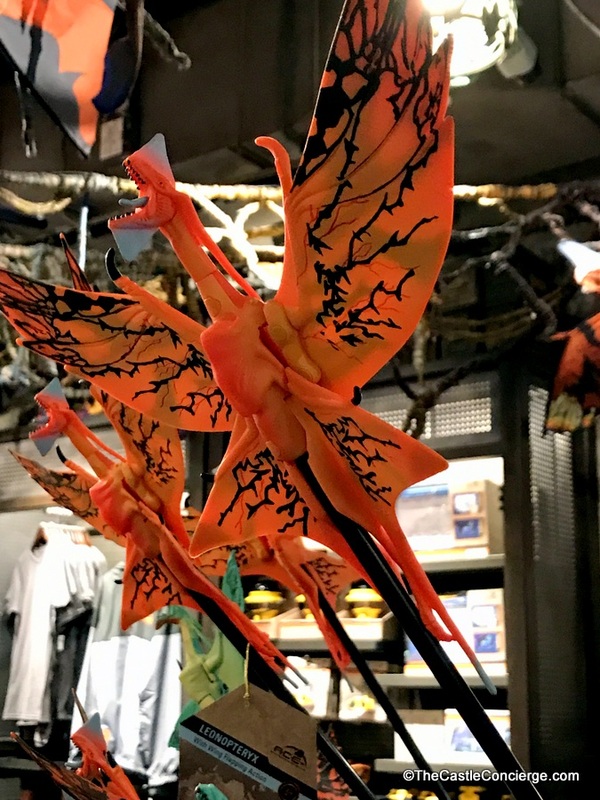 Even on Pandora, the main attraction, Flight of Passage, dumps you right into a gift shop. Or you can enter at your leisure. Windtraders has an assortment of mystical treasures to take back to Earth. Look for items that glow in the dark, an Avatar Maker, Adopt a Banshee opportunities, and all kinds of souvenirs. Take a souvenir back to Earth! Informative Alpha Centauri Expeditions (ACE) guides can teach you Na’vi phrases, point out special plants and creatures, and answer your questions about this exotic land. In this interactive world, find the creatures and plants that react when touched by a human. Will it light up, mist, or spit? You’ll only find out if you take time to explore! Flaska Reclinata, near the entrance to Pandora, sprays a mist of spores when humans transfer their energy by touching it. Lush landscaping and floating mountains. 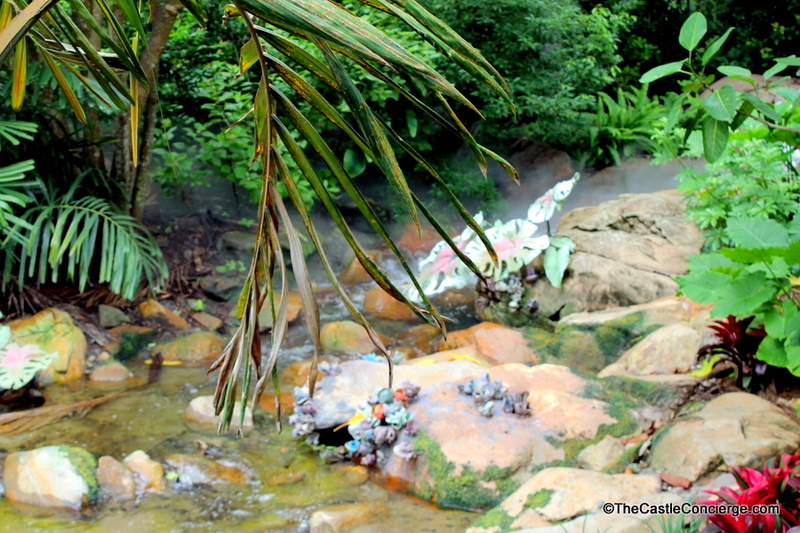 Bonus Tip: Look for two Wilderness Explorer stations in Pandora. 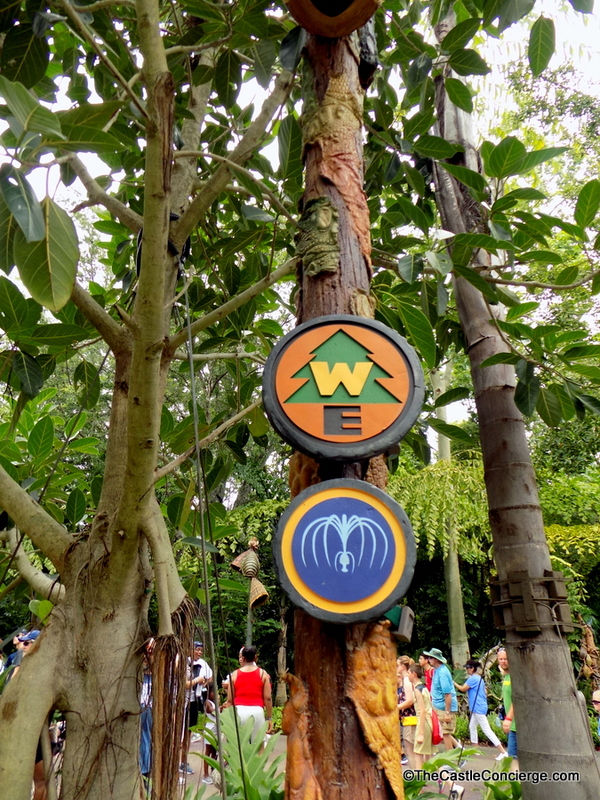 Kids can begin Wilderness Explorers at any station throughout Disney’s Animal Kingdom. These are fun and free activities for young trekkers. 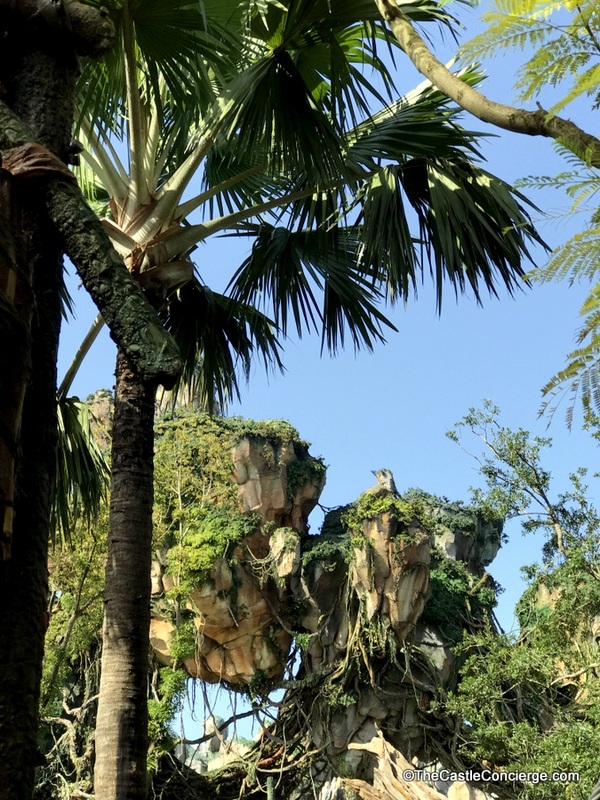 While you’ll be arriving Pandora with many other excited trekkers, Walt Disney World hotel guests can still get ahead of the masses by touring on a day that Disney’s Animal Kingdom has a scheduled morning Extra Magic Hour. Bonus tip: Get a FastPass+ for later in the morning so that you can ride Flight of Passage twice! With some advance planning, your adventure to Pandora can be stress-free. 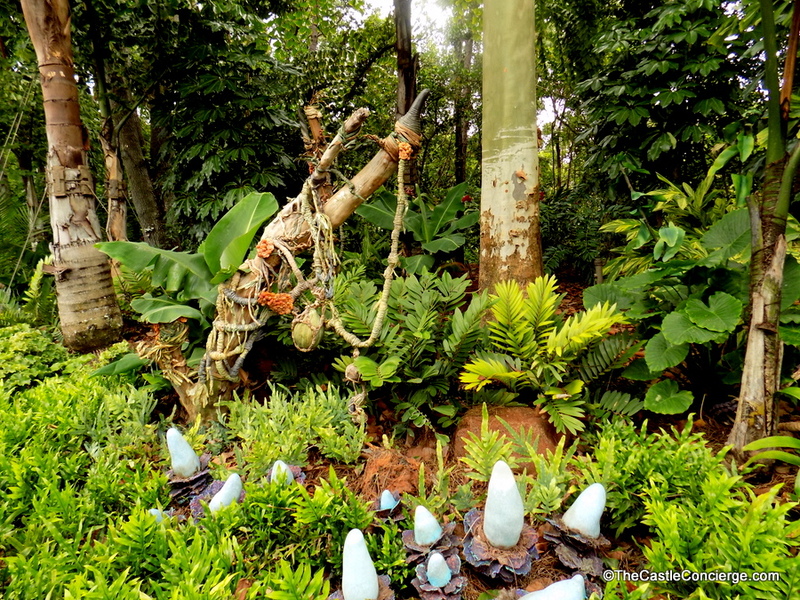 Contact Us, Friend Us on Facebook, or comment below to share your tips for exploring Pandora. 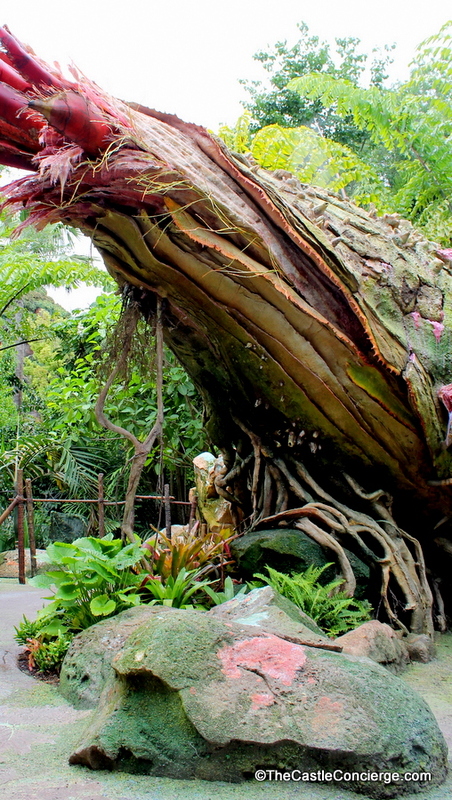 Let us know when you’ll be traveling to Pandora!